When Alita (Rosa Salazar) awakens with no memory of who she is in a future world she does not recognize, she is taken in by Ido (Christoph Waltz), a compassionate cyberphysician who realizes that somewhere in this abandoned cyborg core is the heart and soul of a young woman with an extraordinary past. As Alita learns to navigate her new life and the treacherous streets of Iron City, Ido tries to shield her from her mysterious history while her street-smart new friend Hugo (Keean Johnson) offers instead to help trigger her memories. 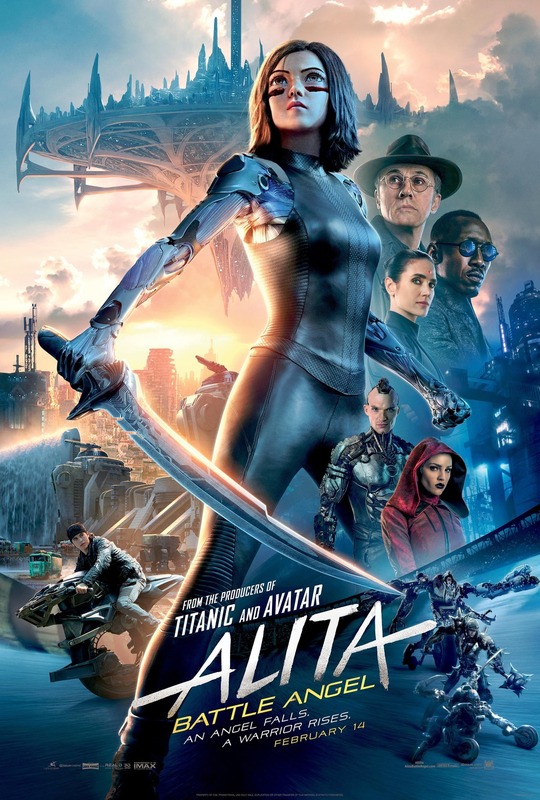 But it is only when the deadly and corrupt forces that run the city, headed by Vector (Mahershala Ali), come after Ido and Alita that she discovers a clue to her past – she has unique fighting abilities ingrained in her that those in power will stop at nothing to control. If she can stay out of their grasp, she could be the key to saving her friends, her family and the world she’s grown to love.